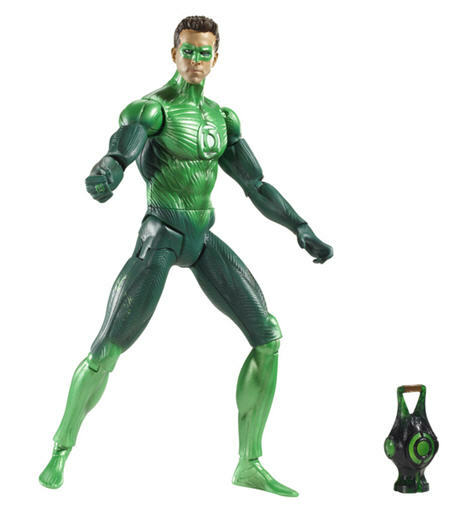 The 'Green Lantern' actor is delighted to have been turned into a mini replica of his character from the forthcoming superhero blockbuster and can't wait to give the dolls to his young relatives. He told Shortlist magazine: "They are incredible. I don't have my own yet but I was allowed to have a play with some the other day while I wait for my shipment to arrive. I couldn't believe them – the likeness is uncanny. It's so cool. "I'm going to try to get as many as possible. My nieces and nephews are getting them for Christmas whether they want them or not." Ryan is not the only person to be impressed by their own replica doll – his co-star Blake Lively recently spoke of her delight at hers. She said: "It's so wild. I feel like I need to go and buy Barbie's Magical Dream House and play with myself. Wait, that doesn't sound right." While wait to play with her doll, Sienna Miller previously admitted she found it strange having a replica version of herself as the Baroness in 'G.I. Joe: The Rise of Cobra'. She said: "I'm not sure if I'm going to be playing with my own doll - but I'm going to have happy nieces and nephews, I'm sure." However, Jake Gyllenhaal loved the idea of an action figure of himself and couldn't wait to go out and buy some miniature versions of himself in 'Prince of Persia: The Sands of Time'. He said: "A lot of people find it weird to have little action figures of themselves, but I think it's great. In fact it's awesome! I can't wait. I'm going to buy loads."